Set above the magnificent sweeping bay at Fishcombe Cove, the luxury waterfront collection of properties at The Cove, blend seamlessly into their sheltered hillside setting. A stay here at this highly desirable resort will provide the perfect balance of peace and tranquility and an opportunity to enjoy one of the most beautiful stretches of coastline on Devon's South coast. With private access leading to the pebbly cove below and a short walk from the turquoise blue waters at idyllic Churston Cove, this has to be the perfect choice for lazy days spent beside the sea. Adjacent to the National Trust woodland, Egret is the only 1 bedroom property at this desirable resort, set back and detached from the second tier of apartments with its own private decking that catches the morning and afternoon sunshine and enjoys glimpses of the sea. A stylish, coastal inspired interior, offers modern open plan living with a dining area, fully equipped kitchen and settee to relax after your days adventures. Bright and airy with daylight streaming in through patio doors, the decking is furnished with patio table, chairs and a parasol and makes an additional alfresco dining spot in summer months. Start your day with a quick dip in the heated pool, before morning coffee and breakfast alfresco whilst you plan your day ahead. 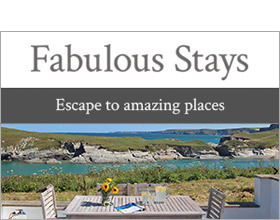 The popularity of this luxury resort is easy to appreciate, with benefits including an open air heated swimming pool, private gated grounds, secure parking, magnificent sea views and the South West Coastal path on the doorstep. Fishcombe Cove is a beauty spot, sheltered between the cliffs and ideal for rock pooling, kayaking, swimming and fishing. There is also a cafe overlooking the beach for refreshments and snacks. A 10 minute stroll along the coastal footpath will bring you to the harbour and town of Brixham with its selection of cafes, restaurants and shops. All on one floor. 1 x double bedroom with TV/DVD.Walk in shower room, basin and WC. Open plan living area with kitchen, dining area and sitting area.